As animals develop, their abilities and needs change, altering cost/benefit trade-offs and optimal behavior responses to cues. We tested if ontogenetic changes in information use and environmentally cued hatching decisions of embryos match adaptive predictions, using red-eyed treefrogs, Agalychnis callidryas. These arboreal embryos hatch rapidly and prematurely to escape egg predators, cued by physical disturbance in attacks. Hatching early increases tadpole mortality, and premature embryos use multiple frequency and temporal properties of vibrations to assess risk, avoiding false alarms in benign disturbances such as rain. Because development increases hatchling survival, we hypothesized embryos approaching spontaneous hatching would reduce vibration sampling to reduce egg-predation risk, accepting more false alarms if cues are time-consuming to assess. We designed stimuli to elicit high or low hatching of younger embryos, with the property that reduces hatching either rapidly evident (frequency spectrum or fast temporal pattern) or time-consuming to assess (slow temporal pattern). We developed a new egg-tray vibration playback system to present motion-only cues with minimal disturbance in setup, then used it to compare responses of younger and previously untestable older embryos. The playback duration embryos experienced before or without hatching decreased with age, suggesting reduced vibration sampling. At both stages, hatching responses differed between frequencies, and among temporal patterns; nearly full-term embryos still showed selective hatching responses to cues. Hatching increased developmentally in a stimulus-dependent manner, with the greatest change in response to the slow pattern, as predicted. Developmental changes in discrimination appear well-matched to changing trade-offs, consistent with ontogenetic adaptation of embryo behavior. 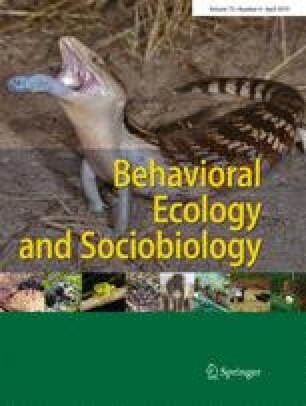 Animal behavior changes ontogenetically for many reasons, including developing capacities to sense and assess cues and perform actions, adaptive responses to changing costs and benefits, and learning. Hatching is a critical behavior, subject to selection from pre- and post-hatching environments, that is performed during a period of rapid development. Environmentally cued hatching is widespread, and many embryos use vibrations to inform behavior. The egg-tray system we developed enables vibration playbacks to red-eyed treefrog embryos across a broader range of stages than previously possible, facilitating tests of how and why development changes behavior. Playbacks revealed that embryos at different stages assess cues and make decisions differently, with stage-specific responses matching adaptive predictions. This reveals a new level of complexity in embryo information use, motivating and enabling further research assessing the role of adaptive ontogeny and developmental constraint in early behavioral development. The online version of this article ( https://doi.org/10.1007/s00265-019-2663-2) contains supplementary material, which is available to authorized users. We thank David Campbell of the Boston University Engineering Products Innovation Center for building 12 iterations of egg-holding devices and 6 iterations of attachment systems over 3.5 years. Daniel Gorelick helped construct egg-holding devices 1 year. Andrew Quitmeyer introduced us to Thermomorph, facilitating device alterations in the field. Justin Touchon consulted on statistics. Nora Moskowitz, Alina Chaiyasarikul, Karina Escobar, María José Salazar Nicholls, and Crystal Tippet helped with the egg collection and care. Maria Camila Bastos Riascos and Adeel Bhatti measured hatchling photographs. We thank the Gamboa Frog Group for discussions of the research and the Egg Science Reading Group at BU and six reviewers for comments on earlier versions of the manuscript. KMW and JGM developed the egg-tray playback system. KMW, JJ, and JGM designed the experiments. JJ and KMW prepared the stimuli. KMW and LARS performed the first experiment. JJ performed the second experiment. KMW and JJ analyzed the data. KMW wrote the paper and all authors reviewed the paper. This research was funded by the National Science Foundation (IOS–1354072 to KMW and JGM), Boston University, and the Smithsonian Tropical Research Institute. LARS visit to STRI was supported by the Universidad del Magdalena (Academic Arrangement 014–2015). This research was approved by the Institutional Animal Care and Use Committees of the Smithsonian Tropical Research Institute (2014-0601-2017-A3) and Boston University (14-008) and conducted under permits from the Panamanian Environmental Ministry (SE/A-46-15 and SE/A-59-16).